All these things were had (except the latter, of course), but there was still one item left on the list: a seriously good cup of coffee. 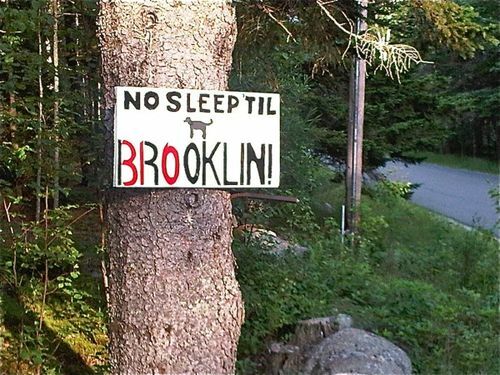 Thankfully, another Brooklynite had recently ventured to Brooklin with the same longing. Former Kings County barista David Dillon up and moved his family from New York City to the wilds of Maine and took his passion for coffee beans and dry-foam cappuccinos along for the fully-caffeinated ride. The name of his new artisanal coffee roastery? 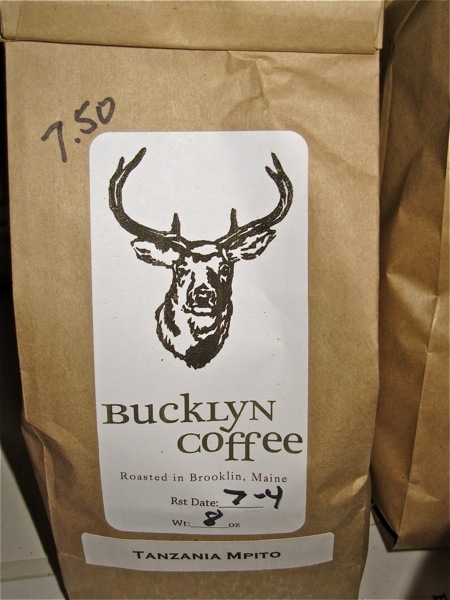 You guessed it -- Bucklyn Coffee, complete with bags sporting a drawing of Bambi all grown up and ready for a cup of Ethiopia Harrar Oromia Organic. Don't think I'll be trekking up to Maine every time I need a latte, but David may just be hearing from me soon. Bambi-schmambi can wait for his cup of Joe. I need a bag of Bucklyn's Ethiopa Harrar Oromia Organic beans shipped to me right quick!